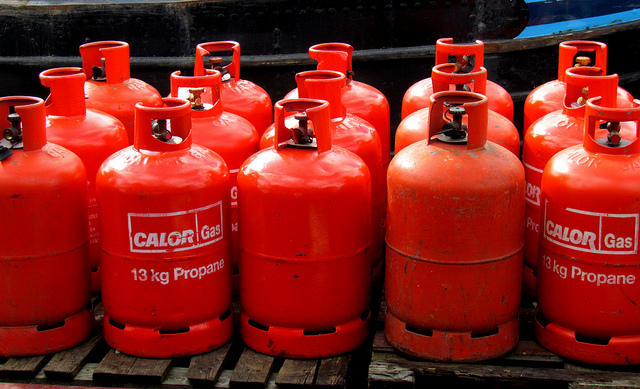 Cooking gas is becoming an increasingly popular fuel for cooking. This is not difficult to see why. Liquified Petroleum Gas (LPG) is environmental-friendly, much cheaper and cooks meal faster. The market for this product is growing by the minute as even rural areas are shifting from using kerosene and firewood. Cooking gas business is a viable business as evident on every street corner. Often times I wonder how they make their profit seeing the intense competition. The good news remains as more homes embrace this fuel, more customers arise. Estimates for starting a mid-size cooking gas business is about ₦400,000-₦500,000. Though setting up shop in highbrow areas may involve higher rent. Also, you must have the basic skills needed for the business such as how to fill gas, how to change valves etc. These skills are gotten by learning from someone in the business. A month should be okay to get the basics but a period of 3-6months is better. Most homes use the 12.5kg gas cylinder so it is better to get this variant first. You may, however, choose to buy one or two bigger-sized gas cylinders. An industrial scale is used to weigh the gas after filling. Having one is optional but it is sure to draw customers when they can see they are getting exactly what they are paying for. I once had a gas supplier that undersupplied the needed weight of gas. We noticed the gas was finishing faster and confronted him to either deliver well or we stopped buying from him. He changed. Having an industrial scale puts integrity in your cooking gas business. Even when customers are not there, make sure to deliver the weight paid for. Honest business still pays. A 12.5kg cylinder is sold between ₦6,000-₦12,000 depending on the quality and previous usage. Cooking gas plants are more like wholesalers of cooking gas, while your business is the retail end. It is from cooking gas plants you buy in bulk and sell to customers. It is important to have your store close to a cooking gas plant. This is to save money on transportation. Spending as low as ₦150 to transport a cylinder will help you save money and give more competitive pricing to customers. Also, consider cheaper means of transportation where available. Your cooking gas business should be in a good location, easily accessible to customers. Marketing for this business is mainly through word of mouth. Visit homes, families and friends in your vicinity to tell them about your service. Offer to give sell at cheaper price than the competition if you can. You can also type and print small flyers and share. As you grow in the business you will have some customer’s phone numbers. Send them goodwill messages during celebration periods. These little acts may just be what knocks the competition off. One way to stand out in this business is to do home deliveries. We all like comfort and can even pay extra to get it. These days, cooking gas suppliers are doing home deliveries at no extra cost. The guy who sells gas in my area sometimes carries it on his shoulders for deliveries close by. This may be stressful physically but it serves his business. The other day, I saw a branded bus supplying cooking gas. The bus was painted with the brand name and contact information of the business. There are cheaper alternatives to supply gas. One example is using a bicycle. Our previous gas supplier had a bicycle. He made sure to properly tie the gas to the bicycle to avoid it falling off. Perhaps the biggest danger in cooking gas business is the flammability of the product. Safety measures should be employed to reduce the possibility of fire explosions. Be quick to detect and stop any gas leakage. Where you refill gas should be as far as possible from any fire source. Smoking, bush burning, waste burning should be avoided in the vicinity. 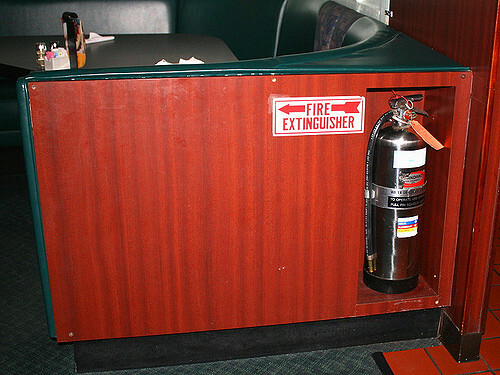 Get a fire extinguisher and keep it where it is easily accessible. Fire is your enemy. Fire is everybody’s enemy. Fire does not want your business to succeed. Average profit on every 12.5kg gas cylinder is ₦500. Therefore, it is possible make at least ₦20,000 every month by selling 10 cylinders every other week. Depending on location and marketing, the profit margin is expected to be much higher. If you have extra capital at start-up, you may include the sales of related items. These items include empty cylinders, gas burners/cookers, hoses, regulators etc. Every new business has its peculiar challenges. Starting a cooking gas business is no different. With perserverance and putting the customer first, this business has the potential to grow and bring in good income every month. Remember that sharing is caring, share this post with a friend today! How much does it cost to build a 3 bedroom bungalow in Nigeria? Have you considered requesting a loan from your bank? Sir,iam a registered in Nigeria Oil&Gas plant Maintenance/Installation Professional,how can i secure loan to set up a gas plant in my area?Thanks,Ofremu Napoleon. I have been trying to get trainings in cooking gas refill. Can you please help me in this area or possibly with referrals to where i cam get training. I don’t mind paying so far i can get quality training. Please sir how do one get loan to open cooking gas station. I have seen a good site but no money to carry the project. Please I need help. Am interested in LPG business, kindly connect me to where I can get the basic training…. Thanks for this wonderful tips. Where / how can I get reading training material for starting LPG cooking gas business?